What to do when the dark November weather and the cold temperatures are really annoying and the bike is already covered up? Right: Off to the south, borrow your bike, get some sun! So far I only knew Mallorca from the typical clichés like Ballermann, binge drinking and lots of Germans. Turns out: it can be done differently. At the end of October/beginning of November the main holiday season is already over and it is a bit too cold for swimming. Moreover the area interesting for bikers is not located between Bierkönig and Ballermann in Palma de Mallorca, but far away in the north of the island amidst the curvy mountain roads, where the booze tourists never find their way anyway. 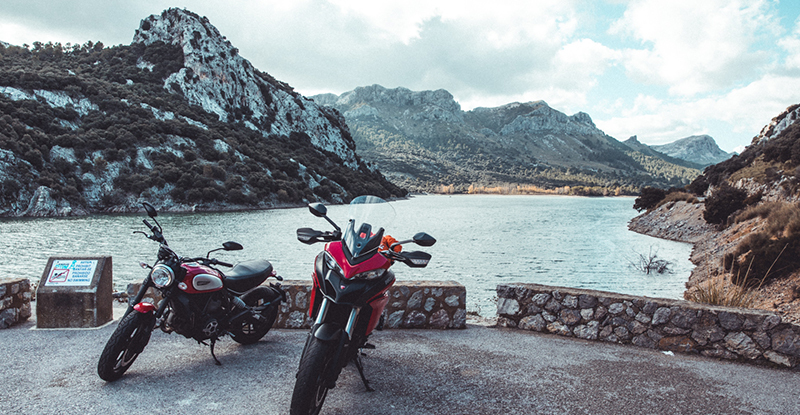 In order to try something new, I decided to take a Ducati Multistrada (the predominant opinion in many motorbike forums: ” is not exactly beautiful, but great!”). 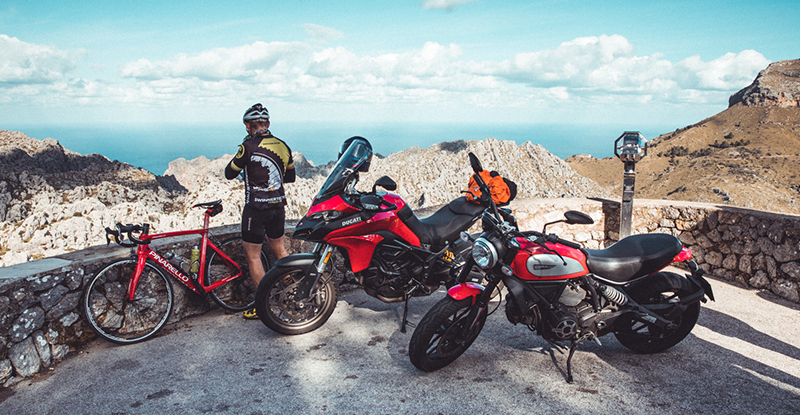 The decision was absolutely right, in the winding streets of Mallorca the bike is really a fantastic. The rental at www.mallorcavintage.com was absolutely unproblematic – bike okay, service okay, price more than okay (I still ask myself why the same bike almost costs twice as much at the competition). We chose an airbnb in Cala Sant Vincenç to be as close to the mountains as possible. 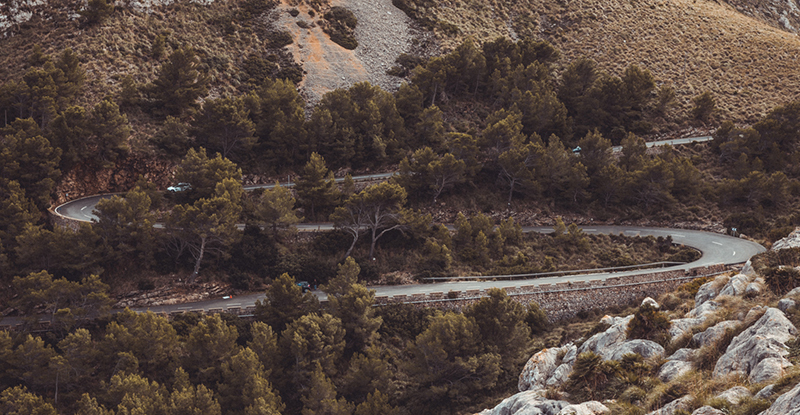 Our first tour took us over the mountains in the north via Port de Sóller and Deià to Valldemossa. Fantastic roads, great road conditions, little traffic. There are enough cafés and restaurants ( really good ones, not the usual tourist traps) on the way, you just have to look a little bit for TripAdvisor. The only thing you have to watch out for are the many cyclists (the area is also ideal for this). There are more than enough photo spots (here I had to get the photographer in me to not stop every few kilometers). The second tour went first a little aimless over the northeast island (here the search for a usable restaurant was decisive) and then over Es Colomer to the Cap de Formentor. The lighthouse at the outermost tip of the island should be well known to Mallorca vacationers anyway. The road there is again wonderful to drive on and in the low season also not stuffed with tourists. You only have to watch out for the free roaming goats. The last tour went over the mountains again back to Palma. Once more wonderful mountain roads, it couldn’t be better. 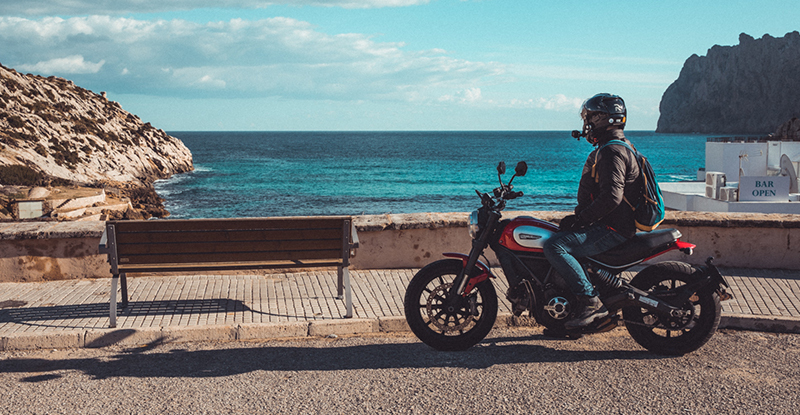 Conclusion: Mallorca is absolutely recommendable for motorcycling. The ideal time is the low season, as the roads are not filled with tourist rental cars. A week would probably be too long (the island is not that big), but a prolonged weekend is ideal.